With so many different weight belts available on the market, it can be difficult to make a decision on which is best suited for you. Here at PowerLiftingBelts.org, we have made it our goal to make your choice easier. We independently review the best weight belts from professional powerlifting right through to ones for general gym use. We take in to account, build quality, comfort, performance and sizing to ensure that our readers pick the right belt for them. We have also recently selected our top belts for dips. 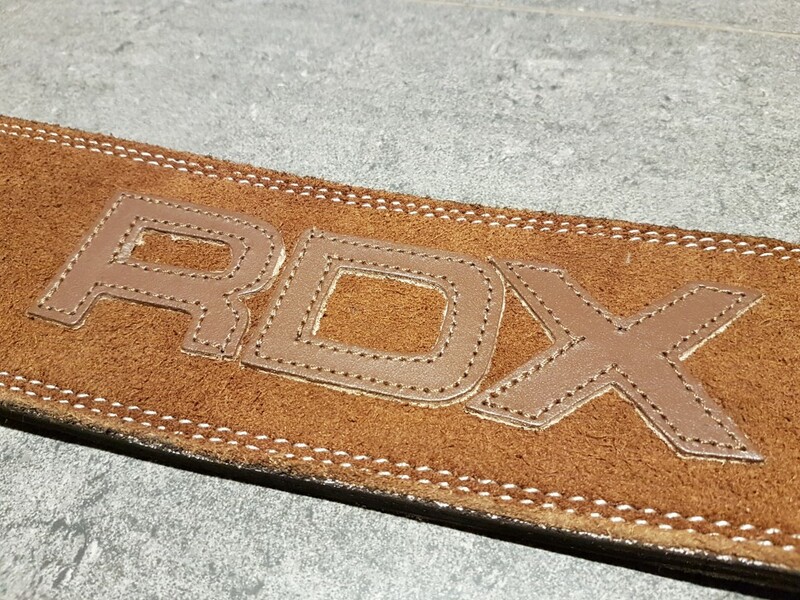 This belt just about has the best build quality you will find in any belt. It’s designed to last even under the most extreme pressure. This combined with the convenience of the lever mechanism to squeeze every little bit of tightness that the belt has to offer and you have a near perfect combination. It is extremely durable and due to the thickness of the belt, it does take some time to wear in. But even when new, this belt outperforms most even when they are worn in. This is slightly different from the standard gym belt due to its comfortable feel and appearance. But it is still a very sturdy belt providing as much if not more than belts at a similar level. The lever version provides good tightness and it is perfect for deadlifts due to the comfort that it offers. This is an excellent value for money weight belt. 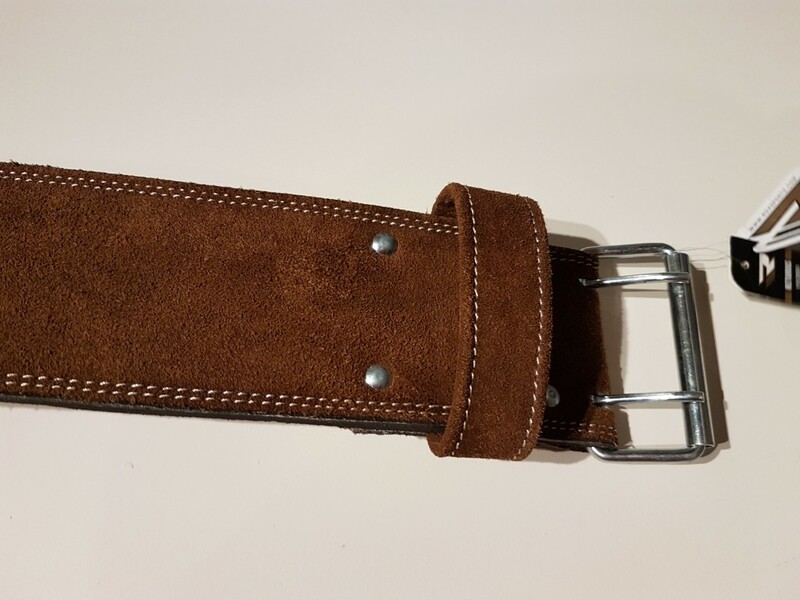 Available in a number of colours, this is a good semi-professional belt which is great for it’s price. While sitting somewhere between the budget belts and top-end belts, it withstood our 400lb squat testing. This belt provides a reasonable level of comfort due to its cushioning making it a good choice for intermediate and beginner lifers. It will take some abuse from the amateur lifter in the gym. Available in a number of colours, this is a good semi-professional belt which is great for it’s price. While sitting somewhere between the budget belts and top-end belts, it withstood our 400lb sqaut testing. Many people are not aware of the physiological process required when exercising. They often breathe incorrectly and sometimes in a way which can increase their chances of injury. The average person performing exercise believes that they should inhale during the down portion of the lift i.e. when they are lowering the weight and that they should exhale when they are lifting weight. But in fact, the ideal way to lift whilst preventing injury is to perform the Valsalva Manoeuvre. What is the Valsalva Manoeuvre? Your diaphragm contracts when you inhale and so the volume of the thoracic cavity is increased. The lungs become larger as air flows in and pressure is equalised between inside and outside. By clamping down and holding your breath and tightening your abdominal muscles, pressure is created within the body. This pressure increases with the lift intensity. The pressure generated in the thoracic cavity and abdominal cavities is transferred to your spine thus assisting in stability. When the pressure in the thoracic cavity increases i.e. with a big breath, support is developed further for the spine as if it were wrapped in a supporting cylinder. A powerlifting or weight belt will make this more effective as its main function will be to add support to this cylinder of pressure from the front and sides of the torso. So to summarise, you should be taking a deep breath and hold it while you perform a heavy exercise whilst squeezing the abdominals. You should then reset this between reps.
What does a belt do? The effects of the Valsalva Manoeuvre are increased with a weightlifting belt. This is done via a mechanism called cylindrical stress. A good example of cylindrical stress would be the metal rings which go around a wooden barrel. The best gym belts will keep the lower section of the torso from expanding when its wearer takes a deep breath and from this process, the intra-abdominal pressure is greatly increased thus making the body more stable than it would be without it. The main reason for increasing this pressure is to improve the transmission of force through the body. Simply, more weight can be lifted with a belt without one because the upper body is sturdier and more rigid under heavier weight. Do you need a powerlifting belt? If your goal is to get stronger or bigger then the simple answer is yes. It doesn’t matter if you are a powerlifter, a weightlifter, a bodybuilder or just lifting to improve your strength. If you wish to be free of injury or return to lifting after a back injury, then the answer is yes again. Weight lifted whilst wearing a belt is safer than lifting without one. The intra-muscular or intra-abdominal pressure of the body is significantly increased when a belt is worn and the Valsalva manoeuvre is performed. This pressure stabilises the body especially in the abdomen creating a safer environment for the spine to function and improving the body’s ability to lift heavier weights. But some people believe that if you lift the belt, you won’t work your core as well as you would without one. This is not true. If you were to lift a heavy weight for X amount of reps without a belt and you can lift a heavy weight for the same number of reps with a belt, is it really possible to to not work core at all? Powerlifters worldwide use belts to add extra support to their heavy lifts allowing more weight to be moved. Belts for powerlifting are designed to be stiff and heavy duty. They are usually the same width around the entire area of the accessory. With more surface area for the abs to pressed against the belt and a buckle allowing extreme tightness a great amount of pressure can be created. And more pressure means greater stability and more weight can be lifted. The velcro variety of belt are very different to the standard powerlifting belt for heavy weight use. They are often made of synthetic materials and have a limit to how much force can be applied to the belt as they are only held on with velcro. Because of this, the amount of pressure that a velcro belt can create is much less. While they may add some injury prevention, they don’t add many performance gains like a heavy leather belt. But they can make a good gym belt. Bodybuilding belts tend to be thicker at the back and thinner at the front. While they might look similar to a proper powerlifting belt, and may be good as a workout belt, they generally are not as strong but hey provide better performance than a velcro belt. To get the maximum benefits from a belt, you should use it in the correct way. Firstly, it must be worn correctly. People often position their belt at the top of their iliac crest. The angle in which it is worn is down to personal preference. Some squat with the the belt angled up above the belly button, straight or down below the belly button. It’s best to experiment with these different types to find which is best for you. It should be tight but not to the point where you can hardly breathe or move. You should not feel overly uncomfortable. But you should be able to feel the belt so that you can press firmly against it with your core to increase abdominal pressure and thus stability. It should be at the tightest position where you can still take a full breath in. If you cannot do this of you need to lift your shoulders to do this, then it is too tight. Lifters often go one notch looser for their deadlifts as a better starting position can be achieved with this. After the belt is put on correctly, performing the correct breathing technique is key. For example, when performing squats you stand with the bar on the your back. Immediately before descending into the squat you should take a deep breathe. You should hold this whilst at the same time pushing your abdominals against the belt. Now hold this while performing the exercise. You should feel much more stability through the core of your body all the way down to the bottom of the squat. When it come to come up the starting position, you should attempt to push against your already closed away (glottis) just as some people do then they are trying to move something heavy. Use this enhanced stability to drive your body up to complete the squat. What makes a good weight lifting belt? 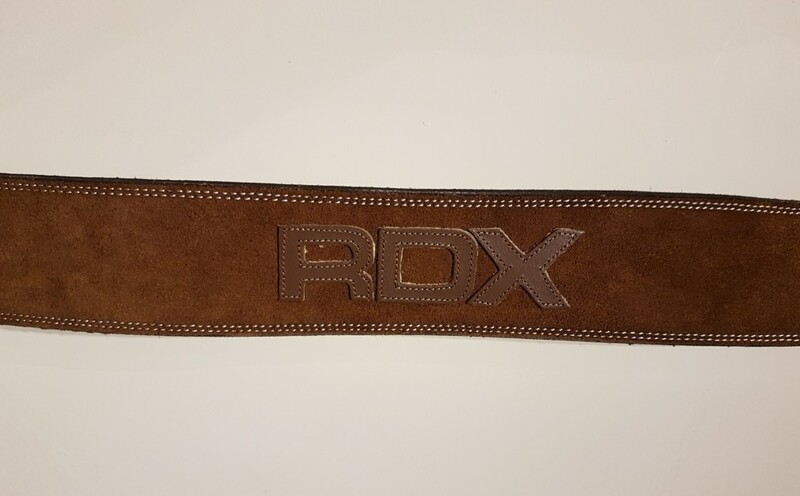 You will find that all professional powerlifting belts are the same width all the way around and they are always constructed from leather and not padded. Cheap powerlifting belts are usually padded and often tapered so that the width differs around their circumference. There’s a reason why the hard-core lifting belts are the same height for their entire circumference. And that is so pressure is distributed equally across the surface of the core. Quality ones are also rigid and this is because a tough and hard surface is required to maximise the amount of intra-abdominal pressure they can create. They are also commonly 4 inches in height. There are other the sizes available but 4 inches is ideal for the majority of wearers. Cheap workout belts are usually about 6mm in thickness. The heavier types are 10mm or 13mm. For the average lifter, a 10 mm weight belt will provide plenty of support. For competitors, a 13mm belt is often used to provide the maximum possible support under heavy loads. 10mm belts are most common because 13mm belts can be very uncomfortable for normal gym use or training. The best squat belts will be 10mm in thickness to provide a small amount of flexibility when the wear goes through the squat motion. Most belts have a break in period where even 10mm belts are uncomfortable and require use to break them in and become more comfortable to wear. But it is quite common for 13mm belts to to stay as rigid as the day they were made forever. Overall, there are three options when it comes to belt buckles. They are single prong, double prong and lever. A double prong will distribute the pressure across the belt more evenly than a single prong buckled belt but they are often more difficult to take off and put on. Bear in mind that if the belt is manufactured high quality, double prong offers little advantage over a single prong buckled belt. Wearers often find that a single pronged belt is easier to put on and remove than a double pronged belt simply due to there being less prongs to deal with. Lever belts are usually more expensive and have less choice in the range of belts featuring them. But they have the advantage of being much easier to put on and take off. Furthermore, they also have the ability to get much tighter than the pronged variety. More tightness equals greater pressure and thus in theory more weight can be lifted. The downside to lever belts are that they are difficult to adjust and so sharing them in the gym with a buddy who is a difference waist size to you is difficult. But if you are a lifter who wears your belts at the same tightness for all of your exercises and you like the extreme tightness and you take your belt off and put it on a lot, then it’s definitely worth considering a lever belt. There is a visible difference in manufacturing quality between quality belts and cheaper budget belts but there is often actually only a small difference in price between them. Cheap powerlifting belts may have an inconsistent pressure application across them as their thickness is sometimes not consistent. These thin spots will not be able to generate overall pressure as well as the rest of the belt. This isn’t drastic, but it can affect the capability of belts to work effectively under the heavier loads. Some cheaper belts may also have inferior stitching, buckles and riveting so they may only last a fraction of the amount of time that a slightly more expensive one would. The best lifting belts will literally last for ever and some manufacturers even provide lifetime guarantee. There’s no question about it that ladies are taking over the weight room and are not confined to dance or aerobic classes as they may have been in the past. There has definitely been a boom in the increase in women lifting weights at all levels from cross fit, in the gym and all the way up to powerlifting. For females that take their weightlifting and exercise seriously, it’s quite likely that you have got to the stage where you feel the need to have extra support for your back. This could be to help prevent injury or to help breakthrough that plateau of your lifts in the gym. There are quite a few belts on the market for ladies from lightweight cross fit belts through to the heavier and tougher powerlifting belts. We have thoroughly researched and reviewed the best women’s weightlifting belts available and have been impressed the some of the top scorers. We rated them in a similar way to how we examine our other powerlifting belts as we understand the main purpose of a lifting belt. Weight lifting belts for women and girls have the general same purpose as they do for men and that is to build up intra-abdominal pressure as we have mentioned previously. However, they have more advantages for their femur wearers. They are often smaller to fit the female form better and are also have an ergonomic design for ladies.